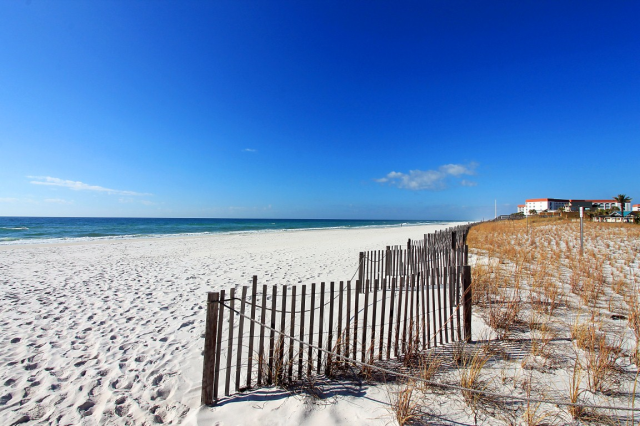 Beautiful Beaches on Okaloosa Island! Your own private boat slip! Beasley Beach Park right across the street! Ground Floor Condo w/ Patio! Across the street from uncrowded beaches! Less than .5 mile from the Boardwalk, Fishing Pier & Gulfarium! 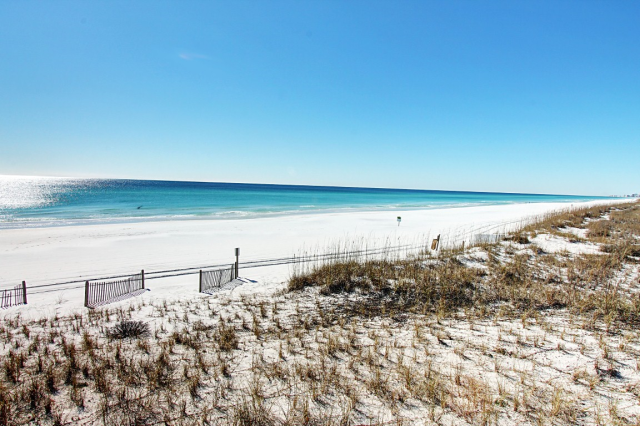 Hermitage By The Bay 105 is a ground floor, bayside condo on Okaloosa Island! With two king bedrooms, each with their own private bathroom, a sleeper sofa in the living room, this 2BR/2BA condo sleeps up to 6 guests comfortably and includes cable in the living room and master bedroom. Stroll across the street to the fabulous Beasley Park Beach Access or take a dip in the pool overlooking the Bay. 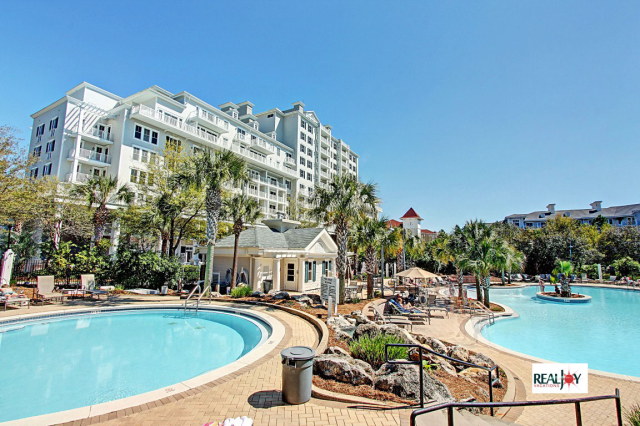 A great place for everyone, Hermitage by the Bay is close to Escape Zone 60, Fudpuckers, pontoon rentals, Wild Willy's Adventure Zone and less than .5 mile from the Boardwalk and Gulfarium! 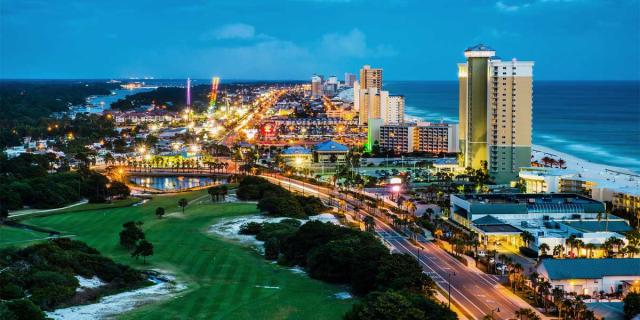 Located on Okaloosa Island in Fort Walton and within walking distance of several excellent restaurants plus a convenience store, The Hermitage is convenient to the Fort Walton Beach art museum, Gulf Island National Seashore, Sasquatch Zoo and numerous shopping opportunities and water sports. Okaloosa Island has a fruitful fishing pier – a recent guest caught over 20 fish including lady fish, blue fish and a small shark! You’ll be able to easily net crabs right in front on the condo. There are community grills, the unit has its own washer/dryer, ample parking and 24-hour security. Welcome to The Boardwalk! 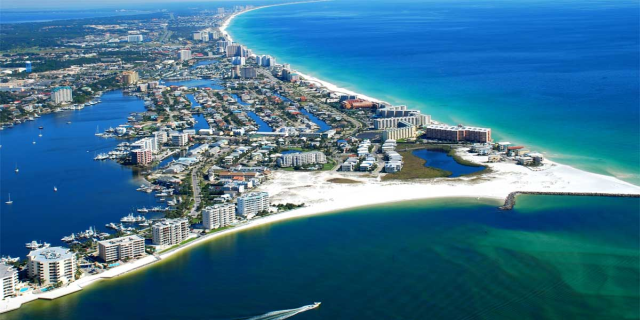 We are located directly on The Gulf of Mexico, on the beaches of beautiful Okaloosa Island! The Boardwalk is your one-stop destination for fun, day and night! 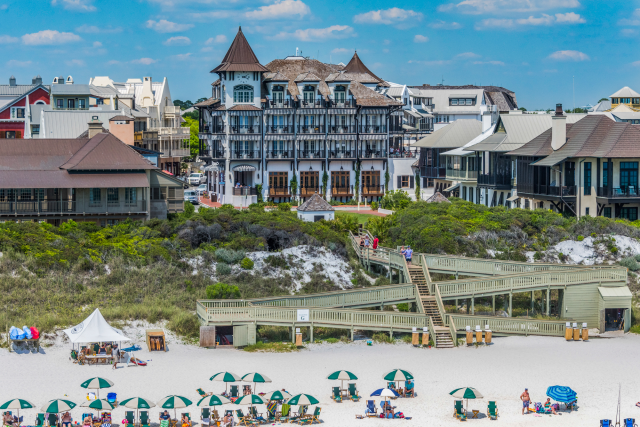 Relax on the beaches of The Gulf of Mexico while sipping a frozen concoction prepared at our outdoor bar upstairs at The Crab Trap, stroll the boardwalk and visit Islanders Coastal Outfitters for new beach attire or grab a frozen snack from Pino Gelato. When day turns to night, Al’s Beach Club is our premier club and burger bar. Hungry? We've got that covered as well! Grab some fresh from the Gulf seafood from any of our great beachfront restaurants located directly on The Boardwalk! 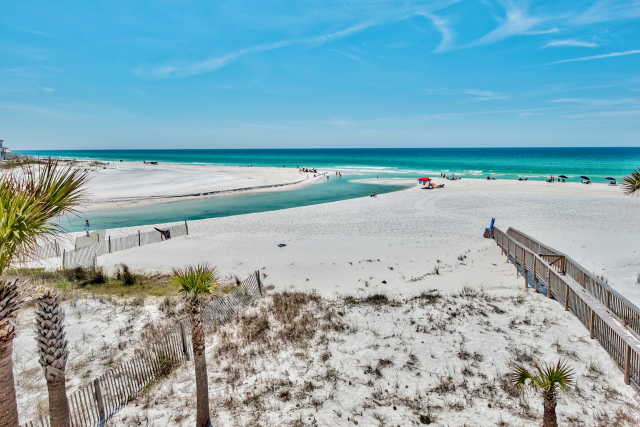 This lovely complex is located in Okaloosa Island across the street from the perfect public beach, with restrooms, and showers, even parking. 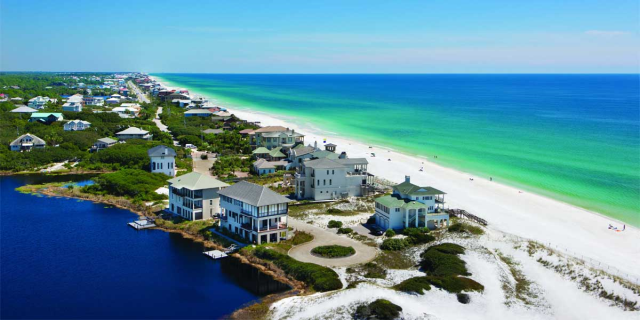 This beach tends to be much less crowded than others in the Destin area, as it has fewer buildings around it - making it an ideal location for families! Vacation rentals at Hermitage by the Bay give guests a chance to take a dip in the outdoor swimming pool overlooking the bay or catch some rays on the reclining chairs on the spacious deck. There are lighted picnic areas and romantic porch swings so you can sit and watch the boats enter the bay. Come enjoy a laid-back vacation at The Hermitage By The Bay!